Tony Allen’s long-awaited biography of Frank Tiarks has now been published by the Society’s own publisher, Old Chapel Books. The Tiarks were a well-known and much-loved Chislehurst family, renowned for their support to the local community. Frank Tiarks was one of the most interesting. Born in 1874, he was brought up in Chislehurst, but went to sea at the age of fifteen. 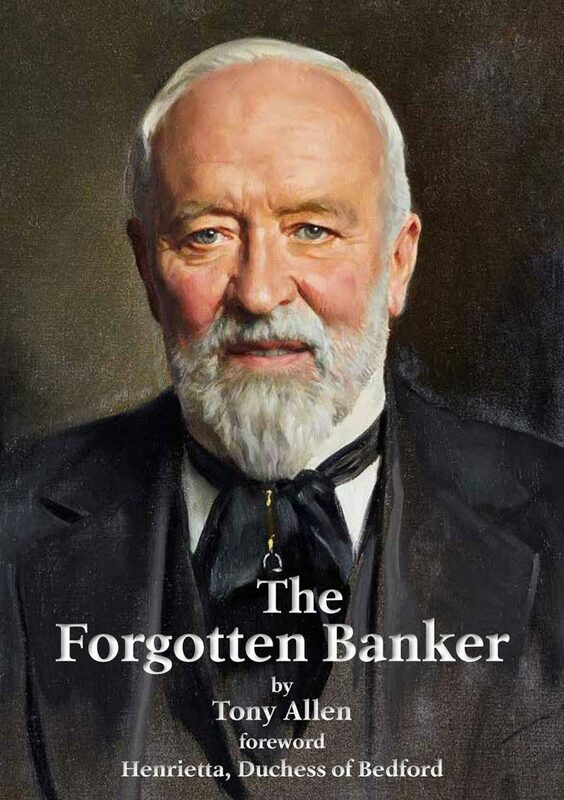 On the death of his elder brother Frank resigned his commission with the Royal Navy to join his father as a partner in Schroders, which he transformed into the world’s leading merchant bank over the next fifty years. He had a life-long love/hate relationship with Germany: his grandfather was German, his business partner, Baron Bruno Schröder, was German, and he married a German girl. But Frank was resolutely British. He made huge contributions towards British victory in the Great War, including two years working in Naval Intelligence to counter the German U-boat threat. Later, as a Director of the Bank of England, he averted a catastrophic threat to international capitalism and democracy, when, almost single-handedly, he persuaded the German Government to step back from the brink of declaring national bankruptcy. None of this stopped Frank from being an important benefactor in Chislehurst, where among other things he funded the rebuilding of the working men’s club in Bull Lane. In 1927 he was appointed High Sheriff of Kent in recognition of his charitable and social work. Much of the information about Frank’s life has come from letters, diaries and photographs in the possession of his grand-daughter, Henrietta, Duchess of Bedford. She provided Tony with unfettered access to her family’s archives and has kindly given permission for these to be used in the writing of this book, the first ever full-length biography of this remarkable man. This fascinating book is packed with numerous photographs, and is now available for purchase from our office, or via our website, £10 per copy (£12 inc p&p).